ANZA Members can save on a range of products and services when they show their membership cards at the following businesses. Offers are valid until 31 December 2017 unless otherwise stated. 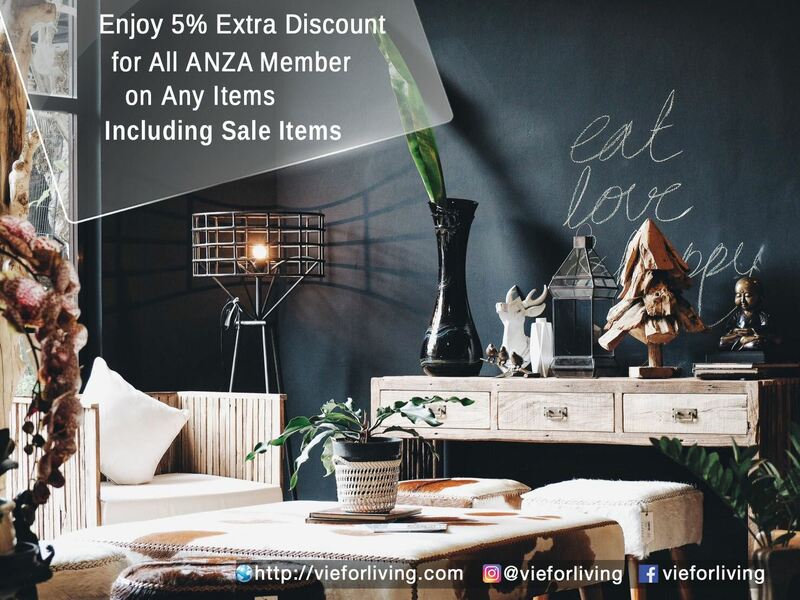 Enjoy 5% extra discount at Vie For Living on any items including sale items. Prestige Hair and Beauty is giving all ANZA Members 10% off on all services. Present your card to receive the discount. ANZA Members will have the registration fee waived, and discounted fees, when enrolling their child(ren) at Mighty Minds' summer camp for June 2018.